Warren Buffett knows how to not make mistakes. That’s the strategy he used to become the world’s richest man. 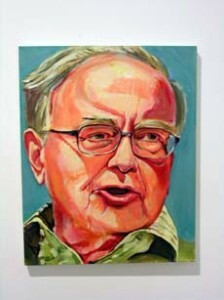 Buffett, along with his right hand adviser Charlie Munger, have made many great investment decisions. All the while, making very few mistakes. Decisions for Buffett and Munger are put through a series of mental models or analytical frameworks developed from different fields. Through these frameworks they examine if the decision being made is rational or irrational. In the book, Seeking Wisdom: From Darwin to Munger, author Peter Belevin reveals 28 mental models. In 14 of the 28, I saw a clear relationship between the mental model and reasons why people make bad financial choices. By understanding these mental models, and therefore Warren Buffett’s investing strategy, you can begin to eliminate or minimize your mistakes. This post explains the 14 mental models, and most importantly, shows you how to apply these mental models to copy Warren Buffett’s investing strategy. How to apply it: If you’re looking to get rid of a behavior, such as overspending, associate that behavior with a negative emotion. One idea — every time you overspend, look at pictures of your dream house. Followed by, looking at pictures of houses you’ll have to live in if you continue your current habits. Another idea is to write out your bucket list. A list of things you really want to accomplish in your lifetime. Next, imagine your closest friends and family doing what you’ve always wanted to do, while you sit at home. If you do happen to take an action that gets you closer to your goals, imagine yourself living in your dream home or experiencing something on your bucket list. This will help to associate action, with pleasure. How to apply it: Reward yourself for achieving your goals. Penalize yourself for bad behavior. Say your goal was to save $500 last month, which you achieved. Take $50 or $100 and reward yourself. Go out to a nice dinner. Buy some decent seats for a concert. Play at the nice golf course. Hire someone to take care of your lawn, laundry, or clean your home. You’re more likely to take action, if your life will change for the worse if you fail. How to apply it: Hold yourself publicly accountable for your goals by sharing them with your family and friends. The idea is to let your friends and family in on your dreams. No man enjoys the embarrassment of public failure. Also, never trust anyone’s judgement who benefits from your decision. More times than not, they have their own self-interests in mind, not yours. A great tip is to call a friend or family member, whose financial values you respect and want to model, before making a purchase that involves a commission (house, life insurance, investments). How to apply it: The majority of drivers, think they’re better than average. A recent study by AA Motor Insurance revealed that 86% of men between the ages of 17 and 24 think they’re excellent drivers. The same can be said about investing. Most people believe they’re better than average, despite the evidence showing only a handful of people have achieved a better than market return, including taxes and expenses, over their entire investment careers. In a study that ended in 2009, Dalbar Inc, found that the average stock investor earned 3,17% over the previous 20 years. During that time, the market returned 8.2%. Ironically, by putting your money in a stock market index fund and doing nothing for 20 years, you’re above average. When making financial decision, know the facts. Look for how many people actually beat the market by investing in individual stocks. One last thing, humans tend to remember their successes more than their failures. Your friend is going to tell you about how he managed to invest in Apple just at the right time. What he will “forget” to mention is the 8 other stocks he bought that failed miserably. Next, find someone who knows your current habits and ask them how they honestly feel your life will turn out based on your past behavior. The truth may hurt but it’s better than denial. How to apply it: I was lucky enough to have a few shares of stock passed onto me from my Grandpa. At the time he passed, the stock was worth around $20. I sold it two months ago for $3 a share. For three years, I watched the stock go down. Always attempting to convince myself that it would soon go back up. One day, I finally asked, “Would I invest in this stock, today?” The answer, OF COURSE NOT! I sold the stock that instant. The decision to sell went against my beliefs of who I was.. After all, I’m a CERTIFIED FINANCIAL PLANNER®, I don’t make bad investments, I’m great with my money, right? That’s why it was so hard to do, even though it was the right decision. The best way to avoid this is by asking for advice. Seek someone who is knowledgeable and wasn’t committed to the earlier decision. Ask them what they would do if they were in your situation. How to apply it: Successful real estate agents will take you through each room engaging your imagination. They will talk about how your bed could go here, how you can host parties here, and your office can be there. All of a sudden, you feel ownership of that apartment or house. Now come the negotiations. Unfortunately, you do what it takes to meet the asking price. The pain from losing what you believed was yours, is a lot less than meeting their asking price. How to apply it: Humans are lazy. We enjoy keeping things the same. Even though it may not be the right decision, we perceive it easier to stay with our average job rather than seeking out a better one. We prefer to buy and spend our time on the same stuff, rather than seeking something different that could be better. Overall, we have a very short-term view of life. We eat the same foods, rather than change to a healthy diet. Twenty years from now, this choice can mean life or death. For now, it means an upset stomach. The best way to avoid this is to listen. Listen to the advice and regrets of others. Next time you in conversation with someone older than you, ask them what regrets they have. Remember, the cost of doing nothing, is often greater than the cost of taking action. How to apply it: It’s hard to do what’s best for our future. This behavior repeated, makes our future a lot worse and our present only slightly better. When making a decision, consider both short and long-term consequences. Compare the present good/bad against the future good/bad. More often than not, a small amount of short-term suffering, leads to a lot of long-term pleasure. If you attempt to make each day, week, month, or year a little bit better than the last, that’s success. Success isn’t having a top 5% net worth of your age group. The key to getting rid of envy of jealously is to stop comparing yourself to others. Instead, compare your past self to your present self. How to apply it: After you buy a $600 suit, $150 shoes that match seem cheap. After you buying a $45,000 car, a $1,500 sound systems looks like a bargain. When evaluating a purchase, make sure to break out the purchase into different categories. Would you buy a $1,500 sound system for your car a month from now, if you paid separately? If the answer is no, then it makes no sense to spend the $1,500 today. How to apply it: Anchoring is another reason for my mistake of holding on to my stock. Since the price was $20 initially, I had in my mind that the stock would one day return to $20. However, if I was looking for a stock to invest in today I wouldn’t put my money in this company. If not, it’s time to change course. How to apply it: If you’re a long-term investor, don’t watch investment news. You’ll tend to make decisions of what you just saw. Knowing that you can trade all of your investments in less than two minutes, it’s extremely dangerous to surround yourself with negative news. If you enjoy knowing what’s going on, stick to an unbiased source that presents facts and doesn’t state opinions. How to apply it: It’s natural for us to not want to feel in debt. Marketers understand this. They give you a free sample and then ask for an order. They throw in something for free at the last second. All this causes us to buy things we may not need or at too high of a price. Be careful and conscious when you receive something for free. If this free post on Warren Buffetts investing strategy was helpful, do you mind helping me out by taking a second to retweet, stumble, or share this post on Facebook? Thanks! Good post RJ. Really appreciate your hard work. Thanks so much Shawn. Glad you liked it. I really like number 5. I am a very honest, open and blunt person… with my friends a family. They ask me for truthful, down to earth advice and I give it. I need a clone of myself to tell me the truth and give me a slap back into reality. All the moments in the past when I was successful or lucky come back to haunt me because I expect them to repeat with no effort on my part. You’re not the only one who struggled with that mindset. Journaling has helped me out a lot. It’s not easy admitting the truth but it’s worth it. Well thank you for such a great post! It was the perfect length, lots of info without being overwhelming or rambling. Admitting that one been lying to oneself isn’t easy, but now I find I just have to stop once in a while and assess myself and what I want, then refocus what I’m doing in life. It’s all about conciousness! Really GOOD post. Thank you for this tips! Thanks Pablo. Glad you liked it. Best of luck Megan. It sounds like you’re on the right track. I wish I knew a lot of this at the age of 20. Each of the points you highlighted really resonated with me, but I could especially relate to #13. The “newness” factor of information always pulls me in initially but then I have to remind myself that the best answers never come from only one source. I find that the answers are always found when looking at a large body of evidence with consistent results from several DIFFERENT sources. RJ – great stuff! Really gets to the core of behavioral investing and why individual investors often have a tough time investing themselves. Also enjoyed that you not only offered the readers many of the hurdles they face but also an actionable solution. Keep up the good work. RJ – I’m a CFP from Canada, similar age to you. I too come across clients who have financial regrets and are more advanced in years. I love planning with them to keep moving forward, rather than dwelling. This post might become required reading for some of my clients! I really like your answer in #10 – net worth that improves month-to-month has got to be the greatest measure of financial success I can think of, and it helps people focus on the big picture instead of getting stuck on any one mistake or success. Awesome Kelley. Thanks for the kind words. It’s getting harder and harder not to compare yourself to others. Which makes it all that more important, to look for individual improvement. I get really stuck on #10. I lam SO guilty of loving to read articles about how much I should have saved, etc by such and such an age. However, sometimes those articles put some fire under my booty and challenge me to get moving! I very much enjoyed the post RJ. I have made the same mistake of holding onto stocks and other items too long. I am finally learning to let things go and cut my losses.